When you’re frustrated but are not signed up to a kickboxing class, or punching your pillow gets tiring… bake bread. And don’t use a bread maker, make it the old fashioned way. 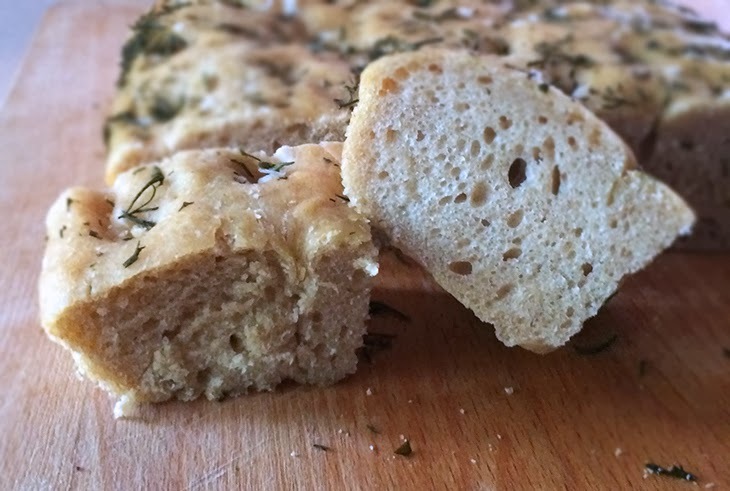 I find that the act of making bread, of kneading and punching the dough to be one of the most exhausting and, at the same time, relaxing activities I can do in the kitchen. 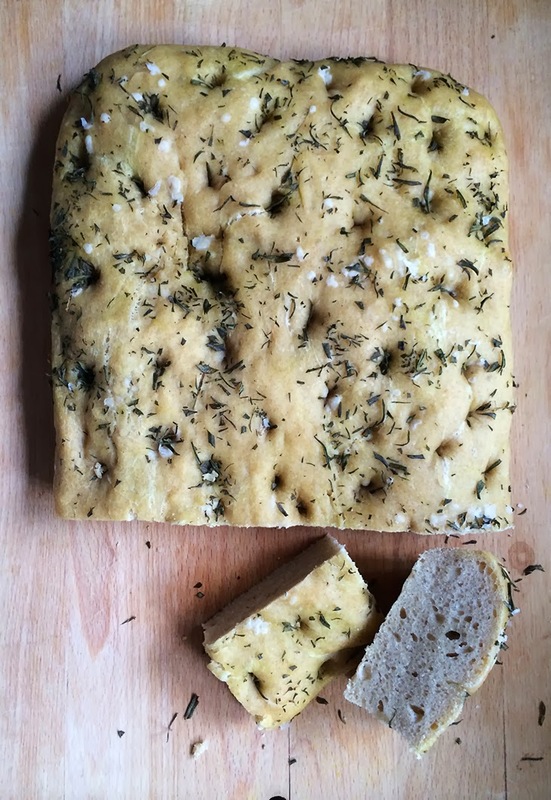 So I made rosemary focaccia bread. The best thing about this particular form of venting my frustrations is that I get to enjoy the hard earned spoils after I’ve gotten it all out! Some of you may have heard my “emotions get transferred into flavour” superstition, so I don’t usually like baking when angry or upset, but I make an exception for bread. I got this recipe from Joel, you may remember him from previous posts (ricotta ravioli, shaksuka, etc.). He’s a brilliant cook, loves experimenting with new recipes and is a great friend to boot. He made this to go with our shaksuka a while back, so when I had a craving for shaksuka last weekend, I definitely needed to recreate it. 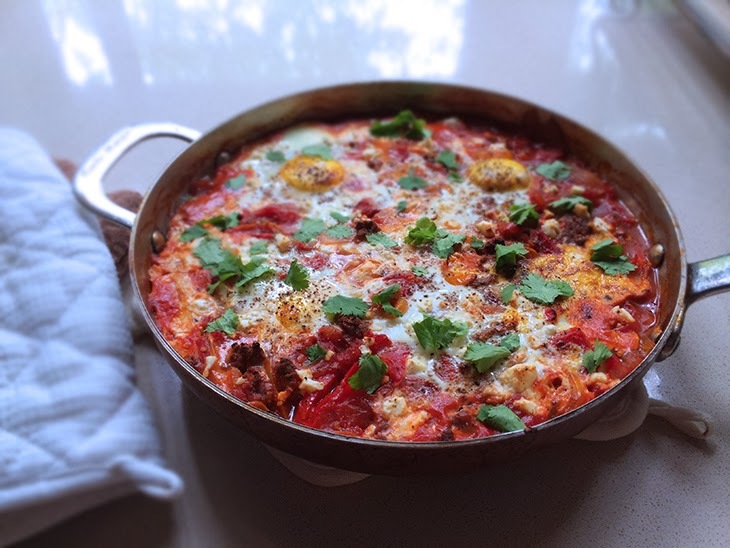 If you find yourself waking up early on a weekend and want to make an awesome brunch for your family (or even to have yourself), try this out. Bake at 190°C for 20 – 25 minutes. Remove from the oven, allow it to cool a little before slicing it up and serving with Shaksuka. Perfect!